We are an eminent entity engaged in offering an extensive range of Cooling Tower Sprinkler with Distribution Pipe.Highly acknowledged in the market our offered sprinkler is in line with the international quality standards. Easy to use and install provided sprinkler is manufactured using high grade raw material and modern technology. Furthermore to fulfill the requirements of our esteemed clients we provide this product in customized options. Its features are die-cast aluminum alloy body and up to 15 ft. sweep diameter with 4 6 8 pipes. PVC/ S.S./ Chrome plated brass nozzles in sizes, from ½" to 3"
We take pleasure to introduce ourselves as one of the renowned manufacturer trader exporter and supplier of Cooling Tower Sprinkler. As per defined industry parameters, offered sprinkler is manufactured by skilled professional using premium quality raw material and modish technology. 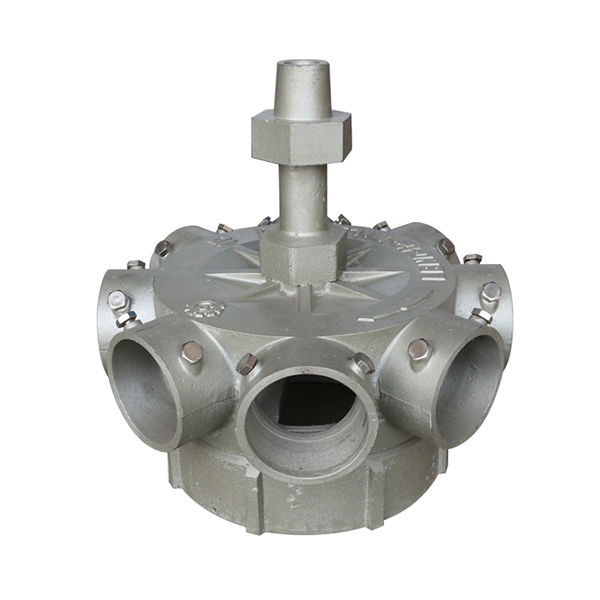 Extensively used in several irrigation process, our offered sprinkler is widely appreciated and demanded in the market. Additionally, we provide it in various dimensions at leading market prices. Over the years we have been engaged in offering a quality assured collection of Cooling Tower Fan with utmost quality. Our skilled professionals manufacture this fan using innovative technology and high grade non-conducting components in compliance with set industry standards. Our provided fan finds its wide applications in oil refineries power plants, petrochemical plants natural gas plant and other similar industrial facilities. According to various expectations of clients the offered fan is available in various models to fulfill their requirements. 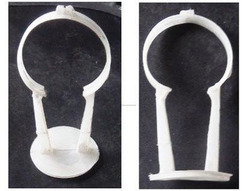 An aero- dynamically axial flow type fan is well balanced Construction. 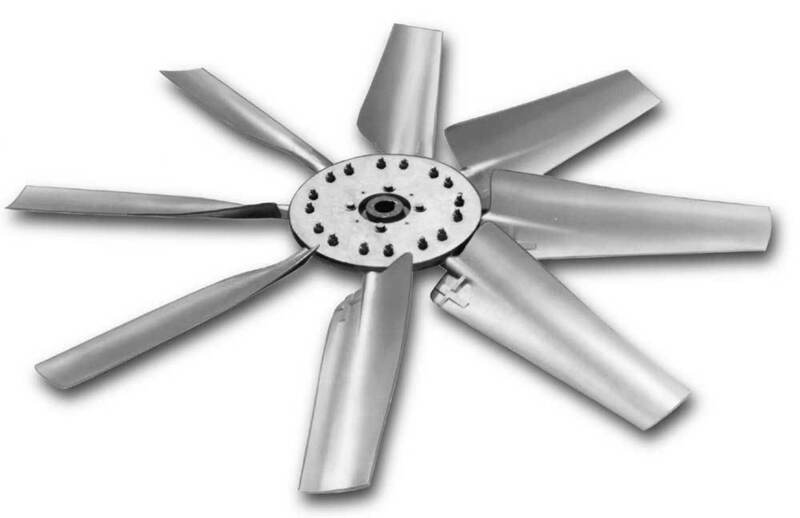 The fan blades are of case aluminum Alloy fan with variable pitched blades is dynamically balanced for low vibration and high efficiency. 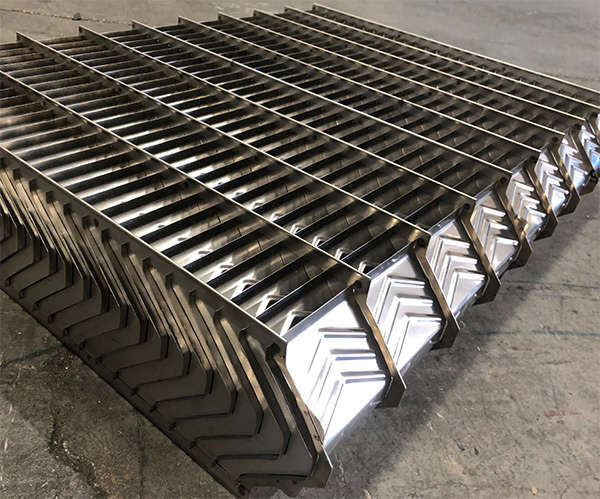 We have marked a distinct and dynamic position in the market by providing a high quality array of Cooling Tower Motor with unique features and state-of-the-art design combined with economy reliability and efficiency. 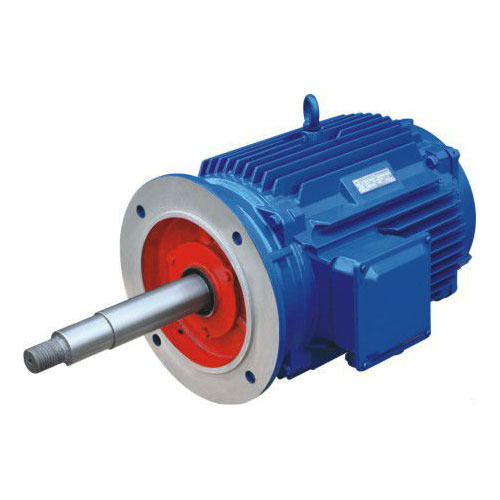 Under the strict vigilance of our adroit personnel the offered motors are manufactured using premium quality anti corrosive components and sophisticated technology. Furthermore, we offer these motors to our prestigious clients at reasonable prices. EN8 steel frame facing downward for mounting on top of the cooling tower Air conditioning showroom shopping mall restaurant & bar hotels office call center building schools studio institute hospital Pharmacy Company, clean room, etc. 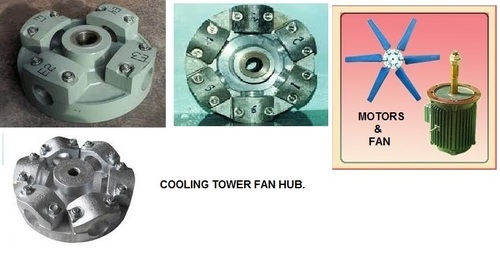 Outfitted with a modern infrastructure we are the most prominent manufacturer trader exporter and supplier of a wide array of Cooling Tower Fan Hub. 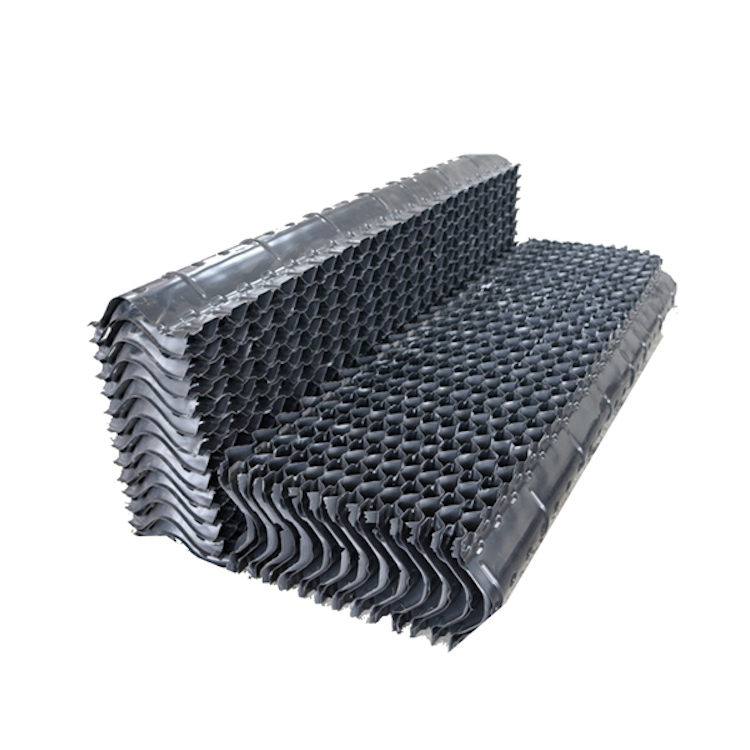 The offered hub is designed using premium quality raw material and is ideal for cooling towers. Before final dispatch the offered hub is stringently checked at various quality parameters in order to provide a flawless range at clients end. We are one of the prominent manufacturers and suppliers of the Drift Eliminator fabricated from the high grade of raw materials procured from reliable vendors. The product is highly acclaimed for the various features such as durability reliability and perfect functioning. The Eliminator is of rigid PVC and is of fixed type having bare minimum water carry over losses. We offer a wide range of Mist Eliminator that are made of FRP/PVC the eliminator is used to reduce water losses due to entrainment of moisture drops in the air stream. We also offer these as per our customers requirements & specifications. In order to meet the various requirements of our esteemed clients we are engaged in manufacturing and supplying the best quality PVC Splash Caps. The offered products are fabricated utilizing the best quality raw material and modern techniques under the supervision of skilled professionals as per the set industry norms. Further, we offer these products to our esteemed clients at cost-effective prices. 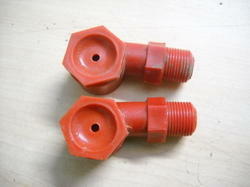 Leading manufacturer and supplier of Gun Type Spray Nozzlefor our valuable Clients.